Welcome to the CenterPoint Energy Alumni Association! The CenterPoint Energy Alumni Association is excited to tailgating again this year on Party on the Plaza. The group will be out for all home games. 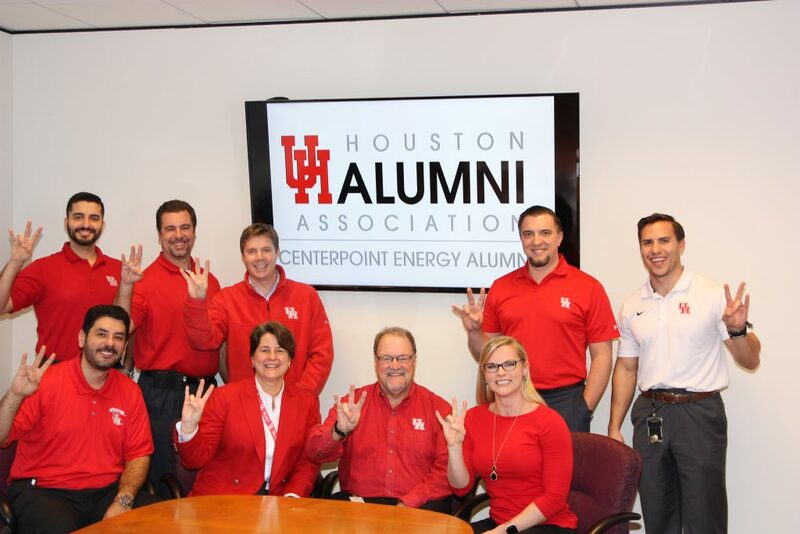 The CenterPoint Energy UH Alumni Association is sponsoring our 29th Annual Cougar Classic Golf Tournament on September 24th 2018. The proceeds from this event benefit The University of Houston. To date, our funding for annual scholarships and other UH programs has exceeded $550,000. For more information- Click Here! Come meet fellow Cougars and learn more about the CenterPoint Energy University of Houston Alumni Association scholarship and endowment program, annual golf tournament, alumni membership subsidization, tailgating events, alumni board of director opportunities, and more! Scholarship applications must be certified full-time undergraduate or graduate students in good standing. Scholarship recipients may accept other scholarships and grand in conjunction with the CenterPoint Energy scholarship. Scholarship recipients who are Engineering, Technology, Business, Information Technology or Communications majors are preferred. A minimum of one $1,000 scholarship will be awarded (based on available distributable income equaling or exceeding $1,000. Congratulations to the 2017-2018 awardee Kristen Canales! The application for the 2019-2020 scholarship will go live in January of 2019.